The results are in, and a local Parkville student has won big. 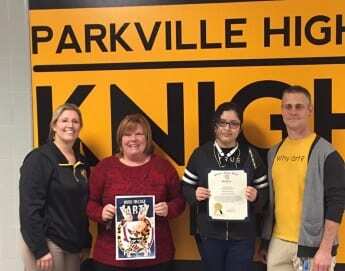 Wendy Portillo of Parkville High School has won the grand prize in this year’s Maryland Youth Art Month Flag Contest. Portillo, an eleventh grade student, will have her flag flown at the National Art Education Association Convention in New York City. In addition, she will receive a $1,500 prize from Sargent Art and art teacher James Hesser will receive $2,000 worth of classroom art supplies.